According to the Securities and Exchange Commission, a “high net worth” individual is defined as: a natural person who has individual net worth, or joint net worth with the person’s spouse, that exceeds $1 million at the time of the purchase, excluding the value of the primary residence of such person; or a natural person with income exceeding $200,000 in each of the two most recent years or joint income with a spouse exceeding $300,000 for those years and a reasonable expectation of the same income level in the current year. For individuals who meet this financial criterion, their divorce proceedings would generally be considered a “High Net Worth Divorce”. However, the term itself does not have any rigorous statutory or judicial meaning within the context of family law and is used mostly informally to refer to divorces involving relatively wealthier individuals. Simply because you do not meet the SEC definition of a “high-net-worth individual” does not mean your divorce should not be afforded the same considerations as one that is characterized by a large net worth, but when the stakes are that high you do need a “high net worth divorce attorney”. Why You May Need a High Net Worth Divorce Attorney? Most divorces are fairly cut and dry. Uncontested divorces and other “no fault” divorces of low to mid-level income individuals make up the general landscape of this practice area. Most divorce attorneys in New York do not have the experience of dealing with prenuptial agreements, large estates, global properties, and money on future incomes or professional licenses. A high net worth divorce lawyer will have more experience than the average attorney in dealing with the rigors of more monied and complex divorce cases. Moreover, even among high net worth divorce lawyers there are those who have experience with foreign assets and those that do not. It is up to you to query a potential attorney and find the one that can handle your specific situation. Ultimately, whether or not you end up in court will be decided by you and your spouse. If you cannot reach an agreement on the details of property distribution, you will more than likely end up in litigation, possibly for a long time. This can end up as a net loss to both parties in terms of legal fees and lost time, even if the distribution of the assets and liabilities is equitable. That is why you and your spouse should consider alternatives to litigation such as mediation or arbitration. The most important strategy you can employ in order to avoid a lengthy and emotionally draining litigation process is to talk with your spouse. 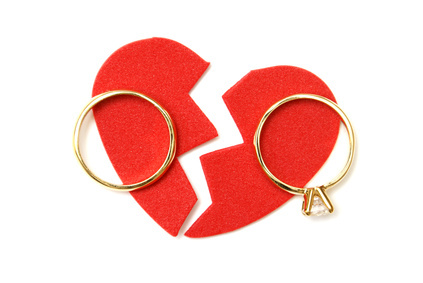 During a divorce, emotions can run high and individuals may be motivated by anger and sadness. This is the time to clear your head and realize that decisions made in haste and anger, by either party, are unlikely to produce favorable results. Try to put aside the acrimony of divorce and remain rational as you discuss the positives of avoiding painful ligation with your spouse. Be sure to stress the importance of saving both money and time. Of course, it will be easier to convince your spouse if you make a concerted effort to distribute your assets and liabilities in an equitable manner. The quickest way to end up in court is to treat your spouse unfairly. In the event that you cannot avoid litigation, there are some steps you should take in order to better prepare yourself for the divorce proceedings. Mostly this will consist of you organizing your estate’s financial information so that a qualified attorney and accountant can review it. First, you should identify non-marital assets. Generally, any asset acquired before the marriage, received as a gift, or inherited by the individual is considered as “separate” from the marital estate. Next, you need to identify, to the best of your ability, all the assets and liabilities that constitute the marital estate. These assets and liabilities will form the basis for all future legal proceedings concerning the distribution of the marital estate. In some circumstances, you may need to hire a private investigator or a forensic accountant in order to insure that your spouse is not hiding any assets from you. Lastly, once you have gathered the relevant financial information and formulated a strategy, you need to consult a qualified attorney who can review your financial information and provide the necessary expertise to effectuate your strategy in a legal context. Just remember, the more work you put in initially, the less you will have to pay your attorney later on.